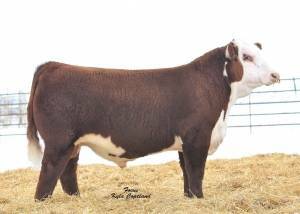 This popular son of CRR Catapult was a 2014 NWSS favorite. Admired for his big hip, great pigment and 40 CM red scrotal, this calving ease son of CRR Catapult is big topped and very correct in his stature. 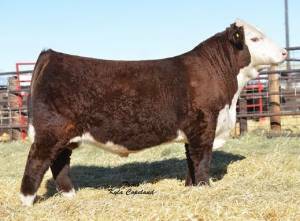 He is one of the most exciting calving ease prospects to surface this year. He ratioed 95 for bw and 109 for ww in the highly competitive Coyote Ridge program.